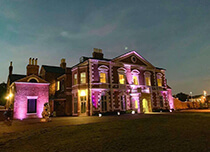 "nestled amidst the acres of natural beauty in and around Lightwoods Park"
We warmly welcome you to Jonathans in the Park and the stunning 18th century grade ll listed Lightwoods House, both nestled amidst the acres of natural beauty in and around Lightwoods Park. 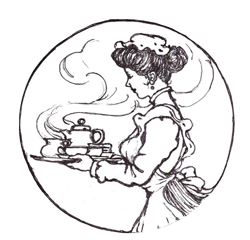 Our home style traditional British recipes are influenced and inspired by the cooking styles and skills of Jonathan Bedford, Mrs Beeton, Auguste Escoffier and my mother, Thelma Havelin nee Aston. The inspiration for the menus will come from many directions, the herbs and plants of Shakespeare’s Garden, variations on regional delicacies, seasons of the year and from chatting with our guests. We buy locally, always using high quality ingredients and produce. Our mantra is to retain the natural goodness in your food embellishing it with fine herbs and subtle flavours that appeal to each of your senses.